Python game written for the LOWREZJAM 2018 game jam. I like the idea of this game (or what I think it is)... but there are a few issues. First, there's no penalty to just constantly clicking the left arrow. Eventually, the bits will match the target value without ever having to pop anything from the stack. Second, the game doesn't end once you've used up all of your stack pops... again, further proving the first point. Lastly... is there a "quit" key? Sure, I can press the "x" on the window, but I'm generally a believer that the application, itself, should have a "quit" command built in. To be fair, I'm a Linux user using a tiled window manager, so I don't have the floating windows. All that said, the layout for the game was pretty good, clean, and easy enough to understand. Very beautiful game! This would fit right at home on a classic handheld game system (like the GBA or something). I definitely gave yours a try and left you a rating and some feedback! Really nice game. While it is simple enough to figure out without any sort of instructions, I did have to die a couple times before I figured out the rules. Otherwise, I could definitely loose an hour or so to playing this game. Thanks... It wasn't my intention to make an editor, but it became very clear that I wasn't going to have any time to put any mechanics in the game. I was going to bow out, but was convinced that since I did something, I should post it anyway. With four days left to go, I feel that I might not make this one. I'm not giving up, though... even if all I get out is a 1980s walking simulator, lol. That said... lots of fixes as well as a number of new utility Nodes. Also wrote quite a bit of the main GameMap node. Now, this should have been obvious from, like, day one, but I realized I was going to need an editor for any map I was going to make. As such, I'm baking a "map editor" right into the GameMap class. This is fine, as the map editor is ridiculously simple (I say to tempt fate). Maybe making a map can be a "game"?! Lol... oh well. I have four days, dang-it!! That said, tomorrow's Friday, so I can stay up a lot later to work on either the code or the graphics (or a little of both?)... I won't be able to continue again until Sunday, but I'll have most of Sunday to get some stuff done! Started on some ceiling and floor map tiles. Kinda need the graphics to test rendering stuff, so I'm starting to do graphics. In case anyone is interested, I'm using Aseprite and Gimp to do the graphics. Tomorrow I hope to make some quick walls to go with these ceilings and floors, then I can work on the GameMap class. Also managed to get a State Machine class written today. Its designed to use Node trees as scenes, so, all that work on my Node classes will NOT be in vain, lol. As I sit here rereading some of what I wrote, I so apologize if some of it (ok, most of it) makes no sense. I'm just doing a flow of consciousness in here. Lol. So today I wrote an asset manager which should be extendable to any "asset type" I choose to define. Of course it includes "graphic" and "audio" out of the box via pygame. I also gave it "json" assets, so I can load and store JSON data as well. I'm actually kinda proud of myself with the ResourceManager class. While the user can make as many instances of it as they want, all instances access the same underlying shared group of assets. It also passes out assets by weakref references, so the manager has TOTAL control of when those resources are deleted. Next big thing was the NodeSprite class... I think it gave me a migraine, but at least the code has been laid down (untested, so it's bound to change... still though). As I was working on NodeSprite, I realized all of my previous Node classes ran the risk of having property name collisions with hidden variables, so I did a rewrite on how they're handles in all Nodes except NodeSurface. NodeSurface just has a TON of code in it that would need an almost total rewrite, so I figure it should work for the JAM. Tomorrow I might get to make and display images! Wheeee!!! Lost yesterday to preexisting obligations. Managed to do some addition this morning, but will be loosing most of today as well due to more preexisting obligations. Time is just not on my side this weekend... grrr. I've programmed up a very crude approximation of Godot's Node structure for my game. The core nodes needed for basic drawing and resolution scaling are in place. Need to write up an asset loader/manager then I can write up a "NodeSprite" node which should put all of the graphical elements in place... programmatically. With any luck, I should be ready to actually create some assets by Tuesday. Seeing as I'm going very old-school mechanic wise, I should have a screenshot or two to post by Wednesday/Thursday. For those interested, I'm writing my game in Python using only pygame (at the moment). My plan is for it to be a basic RPG in the style of classic SSI Goldbox RPGs (Like Pools of Radiance)... mostly the exploring and talking with NPCs part of it, anyway. I'd like to say I'll be coming back to keep this Devblog updated, but I generally have limited time after work and most of that will be actually working on this game... so... I'm not sure how often I'll be able to update. That said, this is open source and all my work can be seen at https://github.com/ObsidianBlk/Goldbox64 . Feel free to look around! Thank you very much for your suggestions. There is control for the players jump, albeit significantly reduced compared to walking control. This was intentional as I wanted jumping to be risky. Wall clinging is connected to whether you're holding the directional pad while against the wall you are "moving" to. If you are holding neither the jump button nor the directional pad, AL should fall. This allows the player to jump off the wall by simply pressing the jump button again (and cling to any adjacent wall by simply holding the pad in that direction, and subsequently jumping off that was, etc etc). For my future platformers, I'll give a hair more jump control. Lol... You got further with RPG Maker MV than I ever did. Pretty dark start to a game. The graphics... well... to be honest, I initially thought there was something wrong with the game. They look like garbled messes, to be honest. I know the effect was supposed to be the character was in the dark, but still. That said... this opening looks like the start of what could be an interesting RPG. Decent start. The gun fires WAY too slow and the length of time needed to begin gun charging is very very long. Your respawn point at the beginning of the level simply drops you off the cliff. When that happened to me I thought the game glitched out (which, I guess, it technically did). Otherwise mechanics were good. Level maybe needed more of a reason for the jetpack. Maybe a few platforms that the player cannot reach via (wall)jumping. I cannot vote on this game as I cannot get the game running, even after installing libsoundio. While the application will launch, requesting me to drag in an .ocz file, upon doing so, I get the errors "Unable to set channel layout: unable to open device" followed by a Segmentation Fault. I have tried using the --backend option (using both pulseaudio as well as alsa) as well as a few different .ocz files. All attempts ended with the same result. Fun, simple, and well made. Sound effect and music really match this little game. Very nice mechanics. Enjoyable gameplay. Nicely done! I really like the idea, but the movement is almost rage inducingly floaty, jumping doesn't always seem to trigger, and getting "stuck" on the vertical faces without sliding down is annoying. Also... due to the speed your character goes, it's very hard to accurately platform jump or, even know what's coming up in the level to know what the next move will be. All that said, when my actions are perfect, the game does feel like it could be a lot of fun! Very nice game! The whole presentation fits very well with the theme. For me, I noticed that i occasionally had a little trouble moving left or right and jumping at the same time, but not enough to be horrible. Very satisfying game! A nice set of varying attacks from the baddie. My only thought is, the player doesn't take too much damage from hits and, as another user mentioned, if you part in the extreme edge of the map, you rarely get hit at all, making it a cake walk. Perhaps limit movement to the limits of the baddy's hand attacks? Over all, I think the graphics look decent. The play character (in both forms) is a little difficult to see against the already very dark background (this is especially true of the werewolf form). Also... I was a little confused about what constituted a bush, vs just foreground decor. I thought the game enjoyable, though. Some music would definitely set the mood! While the camera offset was intentional, I updated the program to significantly reduce the offset. Hopefully this should reduce most of the issues. I'm using Godot, but I'm explicitly upscaling the render to the window size. 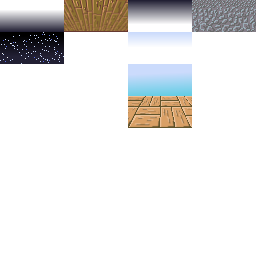 I wanted it to render at 320x240 to keep the tiles and character small. it might be the resolution. The game is technically being rendered at only 320x240, and the camera is coded to move only 48 pixels in front of the player. Upscaled to 4k, that could, indeed be the problem. Not sure how to fix that in only a couple hours. I do not have a 4k screen to test with. May I ask what the camera was doing to make it unplayable? All it should be doing is shifting a little ahead of the character when changing directions. That you very much. Sorry the controls were not so obvious. There is a wall jump, which first requires you to be pushing against the wall you want to jump off of. Anyway, thanks again for checking it out in any case :) I appreciate it! My I'm ObsidianBlk (or, Bryan), and I, too, have been on the GamingOnLinux community forums for some time. I'm primarily a coder, but have some passable skills with graphics. When I saw this Jam I jumped on it because... YAY Linux... and I wanted to get some serious practice in with Godot. A week is tight... but I'm hoping to get something finished by the deadline! I worry I might bight off more than I can chew, but my idea is focusing on "distributing" (see... verb! HA!) power to various abilities. Jump higher with more point. Duck tighter with more points. Hit harder with more points. However, you have only finite points and must distribute as the situation arises. Let's see what mess that will turn into!